With a week to go in Major League Baseball's regular season, the Baltimore Orioles are on the brink of joining some rare company as one of the least competitive teams of all time. WASHINGTON — Thirty years ago, the Baltimore Orioles had the worst start to any season in Major League Baseball history. They lost their first 21 games, dooming any chance of being competitive before the calendar could even turn to May. When the season was all said and done, they would lose 107 games. 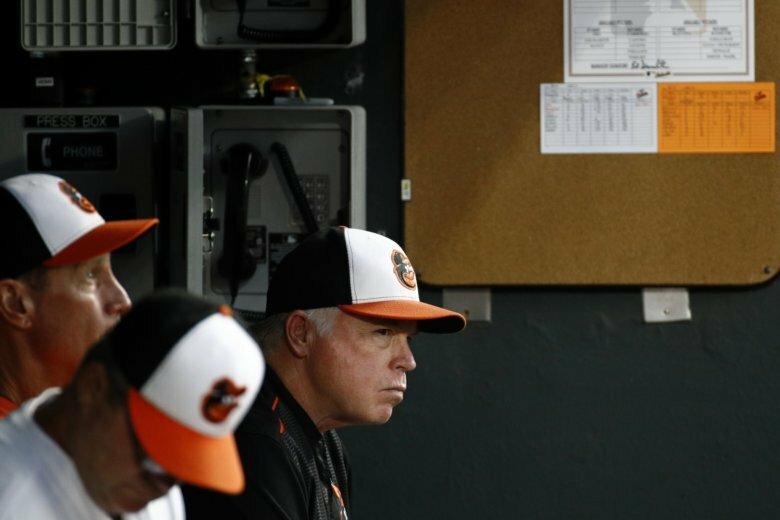 This year’s Orioles team is worse. On Saturday, they dropped their 110th game. With — mercifully — just seven games remaining on the schedule, they can lose no more than 117, which wouldn’t nearly set the league record for futility (the 2003 Detroit Tigers went 43-119). But they have a decent chance of being the least competitive team not just since the standard-bearers of ineptitude, the 1962 New York Mets, but of modern baseball history. The O’s begin a three-game set in Boston Monday. The Red Sox have enjoyed the inverse of Baltimore’s fortunes, running away with the best record in baseball and the very best mark in the 111 years the team has been called the Red Sox. No small part of this success has been at the hands of the Orioles directly — Boston is 14-2 in the 16 matchups played between the teams thus far. All of this has left the Orioles 59.5 games behind the division leaders entering play Monday night, with the possibility of Boston extending that mark by as many as three additional games by midweek. If that number sounds high, well, it certainly is. No team has finished more than 48 games out of first place this century. Only two squads have finished more than 50 games out of first place in nearly 40 years, with both the Tampa Bay Devil Rays (51) and Florida Marlins (52) accomplishing the feat in the same 1998 season, in opposite leagues. No team has finished as many as 60 games out since those ’62 Mets went 40-120 and crossed the line 60.5 games back of the 103-62 San Francisco Giants. And yet, here stand the Orioles, on the doorstep of at least such a deficit, with the potential to exceed it even further. The Red Sox still have another series with the Yankees, who have plenty to play for, trying to ensure they host the AL Wild Card Game. But the O’s have to finish with four against Houston, the defending champs and likely AL West winners. They’ll likely be the underdog in every one of their final seven games. If we continue to comb backward through history to teams the O’s might catch, next on the list are the 1942 Philadelphia Phillies (42-109), who finished 62.5 games behind the NL-leading St. Louis Cardinals. If the Orioles exceed that mark, they’ll challenge the 1939 St. Louis Browns (43-111), who finished 64.5 games behind the Yankees and, 15 years later, moved to Baltimore to become the Orioles. Want to keep going? Of course you do — this is just getting good. No team has finished more than 65 games out since the 1906 Boston Americans (49-105) wrapped the season 68 games behind the Chicago Cubs (116-36). Thankfully, with their win Sunday and Boston’s loss, the O’s can’t finish that far back. Otherwise, the only team standing between them and immortality would be truly the worst team of all time. In 1899, in a display of stupefying futility, the Cleveland Spiders went 20-134. Before the season, they were literally stripped and sold for parts by their owner, Frank Robison (not Frank Robinson), who also owned the St. Louis Browns, and who sent all his best players there. The Spiders were so bad that year — their final season in existence — that when they lost a game to an earlier incarnation of the Baltimore Orioles team (which would also not live to see the 20th century), the Orioles pitcher that day, Jerry Nops, was fined and suspended by his manager. This year’s O’s have at least avoided such indignities. But they were eliminated from AL East contention on August 10, the fastest of any team in the divisional era. Nine days later, they were officially eliminated from playoff contention altogether. With the Orioles’ loss today, they’ve been mathematically eliminated from the AL East race with 46 games remaining in the season, the most in the divisional era. They also tie the 1962 Mets and 1932 Red Sox for the earliest date to be eliminated from the division/league race. Listen, we’re not here to rub the Orioles’ faces in this historic display of failure. Considering the powerhouse Yankees and Red Sox and a top-heavy American League, there’s a good argument to be made that 2018 is a pretty good year to have a bad year. Sure, maybe the O’s could have at least shed some dead contract weight, but they still got 15 players back in veteran trades to help them get better for the future. And they’ve done some good things this season for the fans. They gave out free tickets for kids, and even had the first Braille jerseys in MLB. But there’s no denying it’s been a brutal ride, one that thankfully has just a week left. Those seven days will determine just how well history will remember a season Baltimore will be happy to forget.